BERLIN — As he watched the New York Knicks play on TV in the middle of March, Max Thümer explained why he had, weeks before, vowed to stop watching the team. It was the Kristaps Porzingis trade. 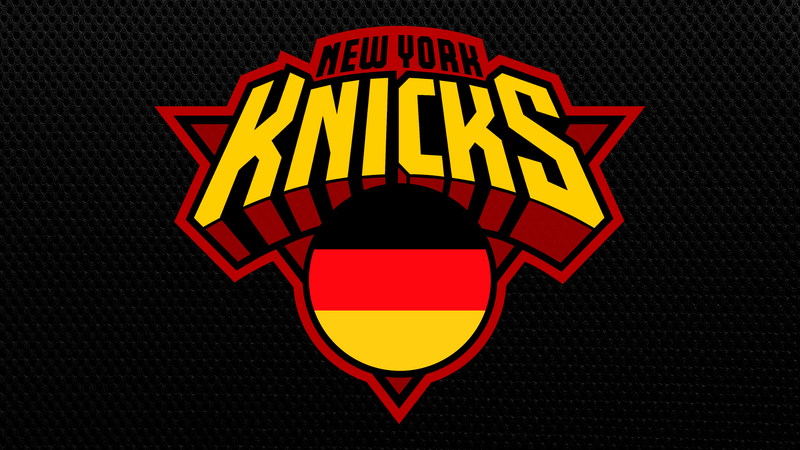 In January, shortly after I moved to Berlin, a friend and fellow American expat mentioned she had stumbled across a Twitter account called the New York Knicks Nation Germany/Austria. We loved it. Excluding a few weeks when German and American daylight saving times vary, a 7:00 p.m. game would tip off at 1:00 a.m. in Berlin. Were there really Germans choosing to stay up all night to watch crummy Knicks basketball on League Pass when even geographically tethered New Yorkers were willing to abandon this pitiful team? This year, the club organized a trip to London to see the Knicks blow a 19-point lead and lose to the Wizards on a last-second goaltend. Members share memes in a WhatsApp group chat, wear club paraphernalia, and pay €10 a year in dues for various administrative fees. “In a perfect world, [the Knicks] would pay you,” Thümer said. I wanted to learn more about what international, voluntary Knicks fandom looked like, so I sat down with Thümer and three other club members on March 17 to watch a meaningless game against the Lakers and probe them for their spiciest Knicks takes. It’s not easy to find a Berlin sports bar willing to put on NBA games, so we met at Checkpoint Basketball, a clubhouse and event space for a local pick-up league. We had plenty to teach other. For example, I had no idea that in the ‘90s, German NBA fans kept up on the league through a regular sports update on CNN. In contrast, this group had never heard of New York radio goon Mike Francesa. Thümer, along with members Ivan Stevanovic and Robert Ogrodowski, grew up in Germany and had similar origin stories for their rooting interest. In the ’90s, their friends loved Michael Jordan, so they chose to support the scrappy, Ewing-Starks Knicks instead. Vinod Krishnamurthy, a flight attendant for a German airline, said he was actually an Orlando Magic fan, drawn to the team in that era because he shared a birthday with Shaquille O’Neal. Like any group of Knicks fans, members of the Germany/Austria group have differing opinions about what management should do this offseason. The team has positioned itself to bring in two stars with max contracts. “Please don’t get Kevin Durant,” Stevanovic said. But if they differ on long-term strategy, they are united against at least one thing: owner and thin-skinned megalomaniac James Dolan, who recently bounced a fan who had correctly and harmlessly suggested from the stands that he sell the team. The takes flowed freely as the game progressed to what I hoped, for the sake of this story, would be a very Knicksy conclusion. “The last eight seasons, it was very interesting to see that players who were very good on-ball defenders came to New York and then became bad on-ball defenders,” Thümer observed. During the game, there was a chance for the crew to support a fellow countryman. “Moritz Wagner! The German guy!” Stevanovic rejoiced when the Lakers forward, who played a total of four minutes, scored. With just a few seconds left, the Knicks were, somehow, winning 124-123. “There’s that blink of hope again,” Stevanovic said. “There’s still time to lose,” Ogrodowski chimed in. On the last play, LeBron drove to the basket in hopes of delivering the game-winner, only to be stuffed by Mario Hezonja. It was the Lakers’ turn to be embarrassed; the worst team in the NBA earned its 14th win of the season. Four thousand miles away from Madison Square Garden, Robert, Ivan, Max, and Vinod seemed happy, or at least not despondent, about the victory. I was reminded of something Stevanovic said when I first asked him about living as a Knicks fan in Germany. “There’s an expression: ‘Zuckerbrot und Peitsche,’” Stevanovic said. Literally meaning “sugarbread and whip,” the German phrase is perhaps most similar to the “carrot and stick” idiom. Steven Perlberg is a reporter based in Berlin, Germany. Follow him on Twitter @perlberg.